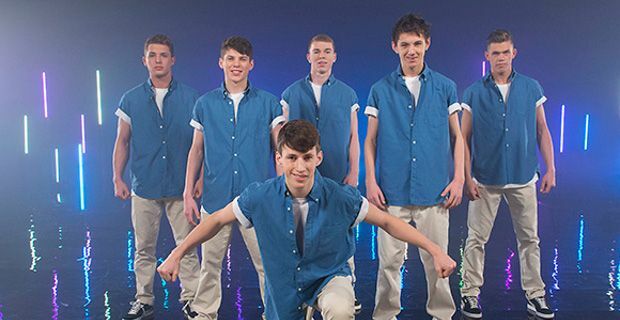 Ruff Diamond and Gymtasia Evolution are the two final acts to join Tom Hughes-Lloyd, Lukas McFarlane, Mini Moves, Rhys Yeomans, Rory O’Shea, IMD, Godson and Antics in the last dance-off scheduled for the 17th March 2013 on Sky1 (HD). The fifth live show saw other four acts competing to secure the last two places in the final, Mindtrick, a brilliant self-taught street animation teenage artist, Juicy, a street crew of bubbly 8-10-year-old-girls from Dartford, Leon & Dotty, the unique duo, who invented their own “Consla” style, a mix of contemporary dance and salsa, and Shun, an amazing experimental breakdancer, who combines b-boy's routine with freestyle and contortionism. Gymtasia Evolution is a team of fifteen acrobats, aged 10 to 30, specialised in a new breed of contemporary dance and gymnastics fusion. The group has been training extra-hard for more than 30-hours a week, to shine on Got to Dance, which is their first competition as a team. So far their efforts paid off, as they were a favourite with the public, who voted them through the final. Despite their bold moves and evolutions, the group received some criticism from the judges and two red stars. Ashley Banjo commented “Your talent as acrobats is unbelievable, but as dancers I don’t feel you’re worthy of a quarter of a million pounds.” “Your gymnastic capability is unbelievable. You create impactful moments that I love, but I do have to say the choreography does need a bit of work, you need to really push yourselves so it becomes the same level as your gymnastics,” added Kimberly. The second act to go through was street crew Ruff Diamond, whose members auditioned on Got to Dance 2012, but could not make it to the semi-final. This year the crew is back proposing new energetic routines and a couple of tricks under their sleeves, which granted them a place in the final. Next week the finalists will battle each other in a spectacular final dance-off in front of 6,000 people at London's Olympia, for a chance of winning the £250,000 conspicuous prize.